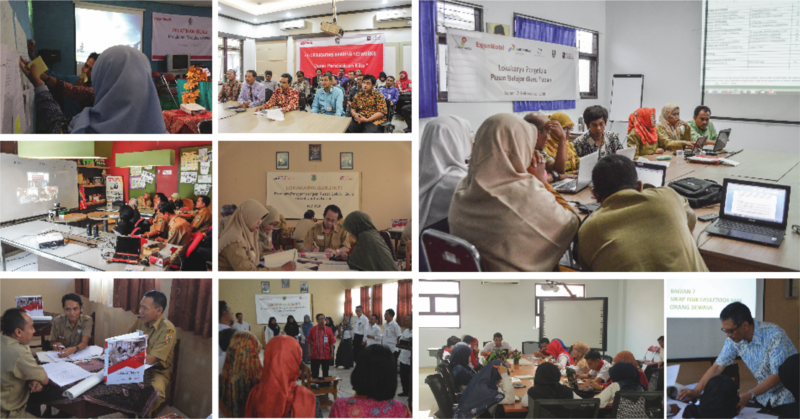 The Coalition is partnering with Putera Sampoerna Foundation to document and improve the process of developing Teacher Learning Centres (TLCs) as the hub for TPD@Scale in Indonesia. Established in a kabupaten or regency (equivalent to a municipality), the TLC is a systematic and structured independent learning organization managed by teachers under the supervision of the local government. The TLC is able to plan, develop, and initiate programs to strengthen teacher competencies and build a robust professional learning community. Each TLC is intended to serve between 15,000 to 18,000 teachers in the regency. To date, the Foundation has built and supports nine TLCs in Surabaya, Lumajang, Pasuruan, Karawang, Bojonegoro, Tuban, Kudus, Gowa, and Musi Banyuasin. Planning for the project will begin later this year. Implementation is set for mid-2019. Established as a social organization, the Putera Sampoerna Foundation (PSF) aims to assist in the development of Indonesia as a nation through education. In 2015, the organization was transformed into the first social business in country, where it has been working with partners and donors to make quality international education available to the greater Indonesian population. Under PSF is Sampoerna University, which hosts the Putera Sampoerna Foundation School Development Outreach (PSF-SDO). The TLCs are a project of the SDO, which offers education development services to improve the quality of schools and provide larger access to teacher professional development. SDO facilitates collaboration between corporations and governments in solving the education challenges in Indonesia.